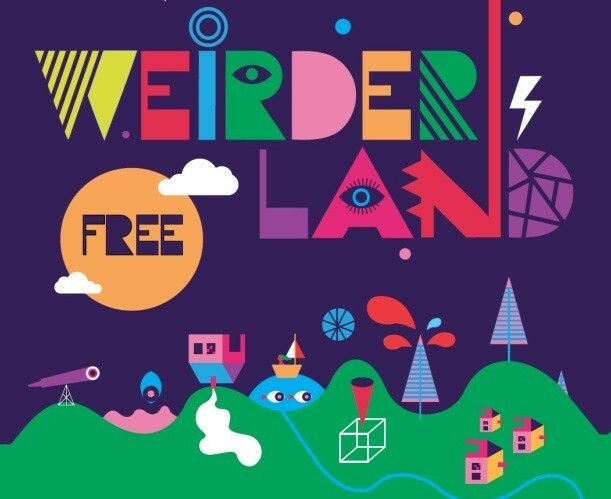 Take a trip to Weirderland – the place where everything is what it isn’t. Things are about to get weird and wonderful this summer at Nottingham Contemporary! What awaits you in Weirderland? The strange, bizarre and wonderful! You’ll be dazzled by optical illusions and digital trickery. Make marvellous creations by taking clothes apart and putting them back together in new and unusual ways. Join in the adventure in our fantasy room by making and exploring, or just sit back and dream.